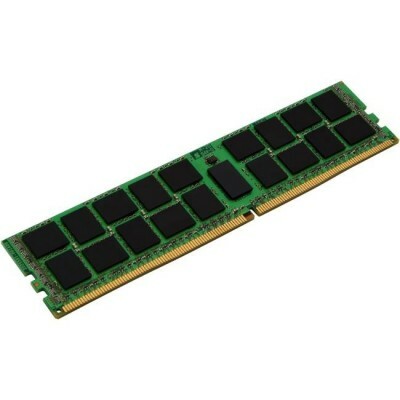 Kingston's KSM24RD4/32HAI is a 4G x 72-bit (32GB) DDR4-2400 CL17 SDRAM (Synchronous DRAM) registered w/ parity, 2Rx4, ECC, memory module, based on thirty-six 2G x 4-bit FBGA components. The SPD is programmed to JEDEC standard latency DDR4-2400 timing of 17-17-17 at 1.2V. Each 288-pin DIMM uses gold contact fingers.